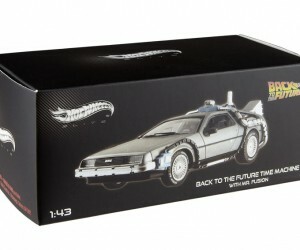 Doc Brown’s Back to the Future DeLorean Time Machine is back in the present, apparently, and you can own this awesome 1:43 Hot Wheels Elite scale model. 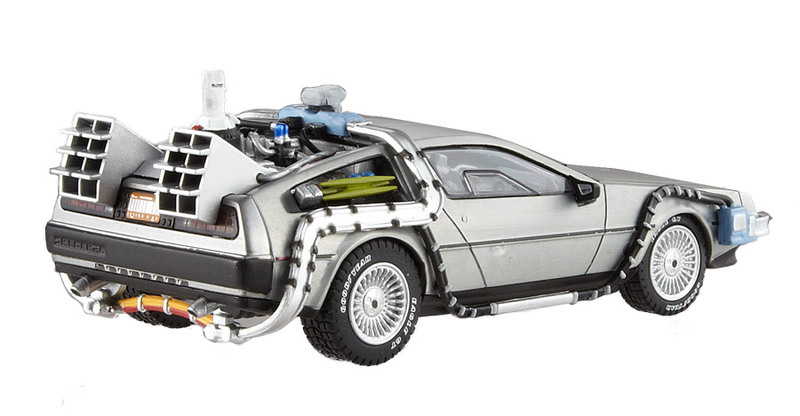 This vehicle is the centerpiece of the Back to the Future movie trilogy, which follows the adventures of teenager Marty McFly as he is blasted to both the past and the future in the time machine created by the eccentric Doc Brown. 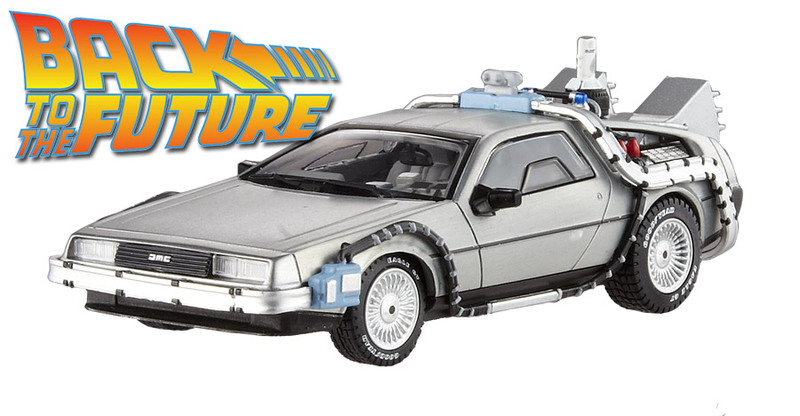 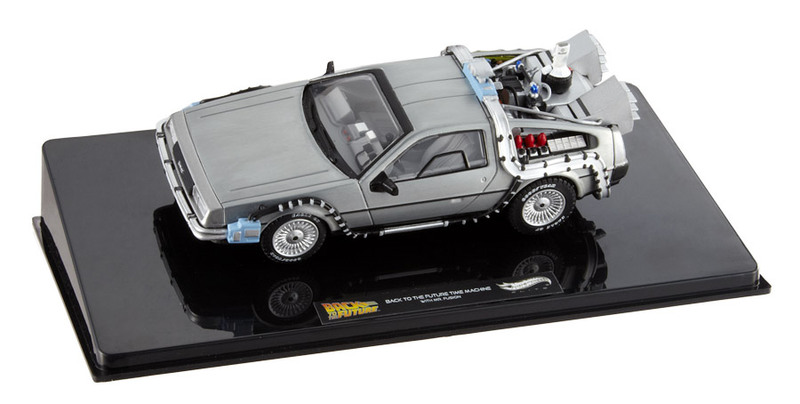 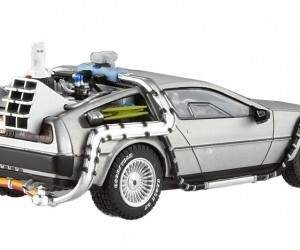 This 1:43 scale model of this timeless vehicle celebrate its appearances in Back to the Future and Back to the Future Part II, complete with Mr. Fusion (the DeLorean’s power source in the film). 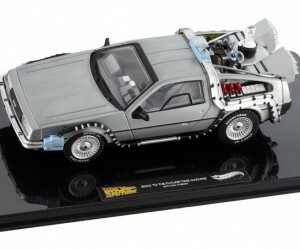 The vehicle measures 4″ x 1.8″ x 1.25″ and comes with a display stand. 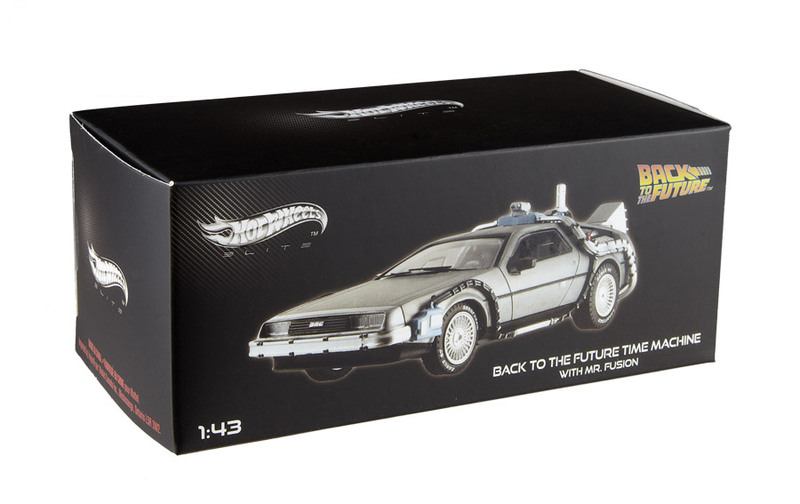 Relive great memories of the past with this perfect, limited edition replica created by Hot Wheels Elite.